"***** 5-STAR Agent on Realtor.com *****"
"***** 5-STAR Agent on Zillow.com *****"
My wife and I have had the pleasure of working with Melissa, a Realtor. We met Melissa when she was canvassing our neighborhood and introduced herself to us. We were impressed with her professional demeanor and business sense. We thought if we were to ever sell our home, we would like her to be our agent. She even followed up with a thank you card. When we decided to sell our home, of course, we chose Melissa as our Realtor. We couldn’t have made a better decision. Melissa explained the entire sale process to us. She was honest, ethical, and carried out everything she promised with expertise. She treated us with dignity and respect and never wavered on our discussed goals. I could go on and on regarding Melissa’s skills and talent. I will say that Melissa will be successful in any endeavourer she chooses. We are fortunate that we had Melissa as an agent and in our lives. Not only is she a great Realtor, she is a kind and caring human being." 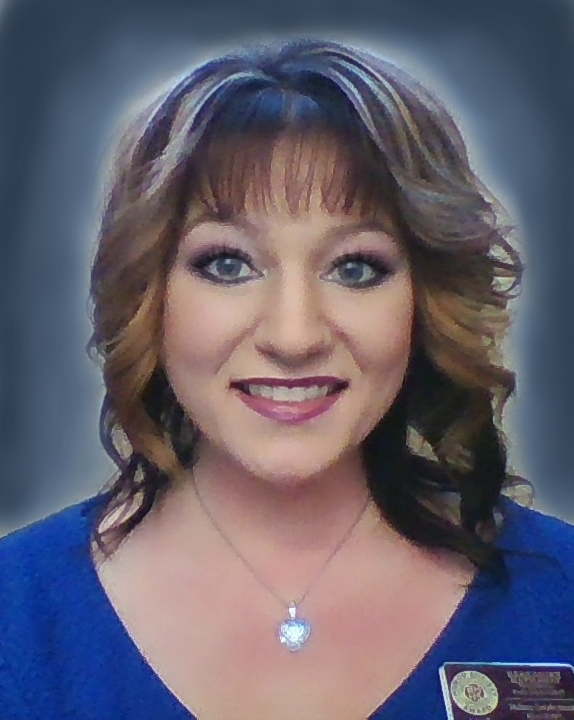 would absolutely recommend Melissa to handle your real estate needs." "Melissa is an amazing realtor. She is extremely knowledgeable. She is familiar with other realtors, extremely professional and was able to negotiate several issues in our favor. It was a pleasure working with her and we would be glad to work with her again in the future." "Melissa was amazing through the entire buying and selling process! She was knowledgeable and helpful. I would highly recommend her for your real estate needs!!! She went above and beyond to make sure that we had peace of mind and a smooth sale and buying experience." "Buying a home can be very stressful, but thank to Melissa for me this process went very fast and easy. She was always there to answer any of my questions. And even after you bought your house Melissa still will be there to help you where you need help to set up your account with Palmdale water District or recommend you somebody who can help you with repairs. So if you looking for realtor who can take you through process of buying a house without any stress it's Melissa Goodermont!!!" "I would like to thank you for the job you did as our listing Realtor for our Parents' house. You did an exceptional job keeping us up-to-date with showing activity and advertising the house. You also kept all of us well informed of requirements and options for solutions. Your advice on handling offers was also invaluable. Last, you handled the challenge of getting the three of us completed on required paperwork even though we are in different parts of the state/country. Your efforts and service were much appreciated and I would recommend you to anybody based on the above described excellent service. Thank you for making this a very easy process. We all appreciated it very much!" "Melissa Goodermont is highly professional and personal and worked diligently to find my perfect home. She understood my concerns and narrowed the search to homes that met, or exceeded my expectations. She was patient and always available to answer questions. I highly recommend Melissa. She was a joy to work with." "Melissa did an outstanding job on helping me buy my first house. She is very nice, respectful, and professional. She went out of her way to make the home buying process super easy. When I had questions, she quickly responded. She is very quick at getting things done. I highly recommend Melissa. Thank you Melissa! We love the house!" I could not let another day go by without thanking you for all of your help in the sale of our home. You took on with ease the responsibility of scheduling the various appointments with different companies for all of the inspections and paper signing. You made the sale easy for us by delivering what you said you would and by sticking to the plan. You let us take all of the seller/ buyer information and become involved with the selling process. Thank you for the prompt service; including the return of phone calls, e-mails and just plain good old fashion visits!!! I will recommend you and your company to anyone. Please, feel free to add me to your list of references." "I purchased a house with Melissa. She was amazing! Found the house we liked and everything went good thanks to her. Sorry for the late review! Thanks Melissa!!" "Thank you so much Melissa for everything. You were so professional and worked hard to sell our house for the price we wanted!! It is bitter sweet as I loved the house, but we are excited to start a new chapter in our lives!!!!!!" "Melissa was very knowledgeable, professional, efficient, and patient. She was quick in responding to my email which requested additional information on the property that I was interested in. We had discussed the property in detail and she answered my questions honestly. She provided me with the options that were available in which to purchase the property. I really appreciate the excellent service and would absolutely recommend her as a realtor to anyone seeking to find the right home to purchase. Melissa is an experienced professional that is willing to listen and provide her clients with the best service." "Melissa is a great agent. She knew what it took to sell my house. She always addressed my concerns." "Melissa is one of the nicest persons I've met. She was always there when I had a question. She did everything possible to get us the house we wanted. I will work with her again if buying or selling a home."